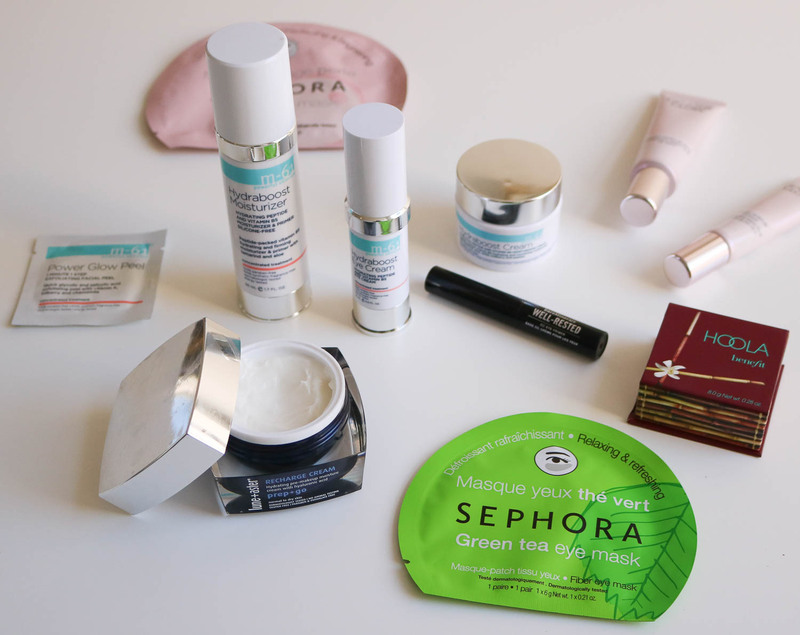 Today I want to share a few of my favorite summer skincare products! In the hot, summer months I try my best to keep my skin super hydrated and wear as little makeup as possible, especially on the weekends. I have been loving Bluemercury’s M-61 Hydraboost Moisturizer for my face and the M-61 Hydraboost Eye for under my eyes. Both are creamy and make my skin feel refreshed, dewy, and moisturized. 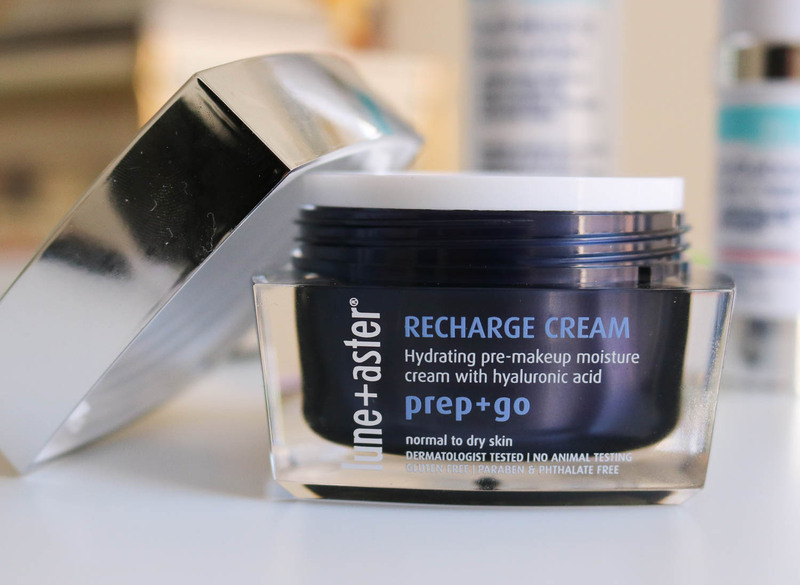 If I’m hanging around the house for a while, say on the weekends, I like to apply the Lune+Aster Recharge Cream (I also use this at night on occasion too!). It’s creamier and thicker than the Hydraboost, but it’s still great for going on underneath makeup. I just like for it to have time to soak in before applying any makeup. After my skin has time to absorb all of the moisturizing cream, I like to apply the Estee Lauder Genuine Glow Priming Moisture Balm to my face and the Moisture Eye Balm under my eyes. The great thing about the Genuine Glow products is that they have a little bit of a tint to them so they add a tiny bit of color so you don’t have to apply a tinted moisturizer if you aren’t in the mood. 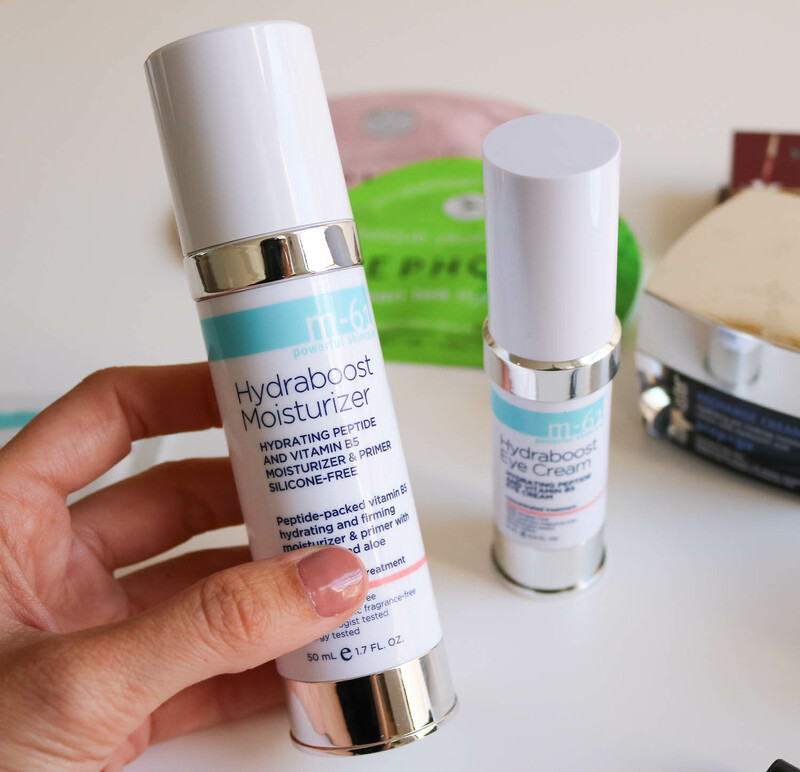 These two products are my go-to primers on the weekends, and they have been PERFECT for traveling – any product that can do double duty while I’m on the road gets two thumbs up! For a minimal makeup look, I love throwing on bareMinerals Well-Rested CC Eye Primer (it has a cooling affect – I’m obsessed!) and then I add Hoola Matte Bronzer for a subtle glow. If you couldn’t tell, I’m a fan of Bluemercury’s M-61 line. At night I like to use the Power Glow Peel. It’s a wipe that packs a punch. Check out the reviews on their site and you’ll be sold too! Has anyone else jumped on the mask bandwagon lately?! I can’t get enough. 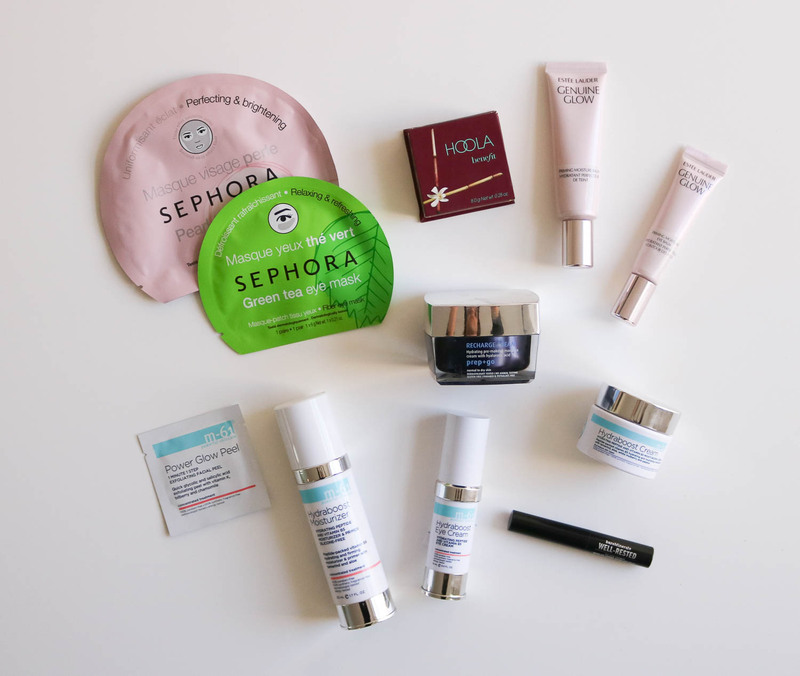 I try to do a couple of masks during the week, but my absolute favorite is a Sunday night mask – It feels like a bit of pampering to cap off the weekend. 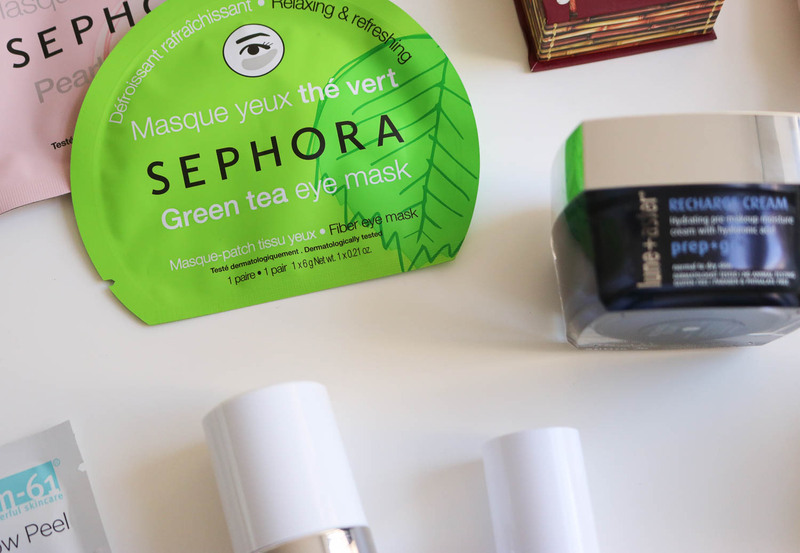 I love Sephora’s easy face masks and eye masks. They’re soothing, make my skin feel great, and they don’t break the bank (always a plus!). Lastly, I always apply a moisturizer at night. Lately I’ve been obsessed with the M-61 Hydraboost Cream. It’s thicker than the Hydraboost Moisturizer mentioned above. It makes my skin feel amazing. It’s not sticky at all, but it stays on all night! I love the feeling of waking up, hoping in the shower, and even though I don’t notice it still being on my face, once I apply water, I can tell that it is in fact still there. It leaves my face feeling so fresh in the mornings! So there you have it! 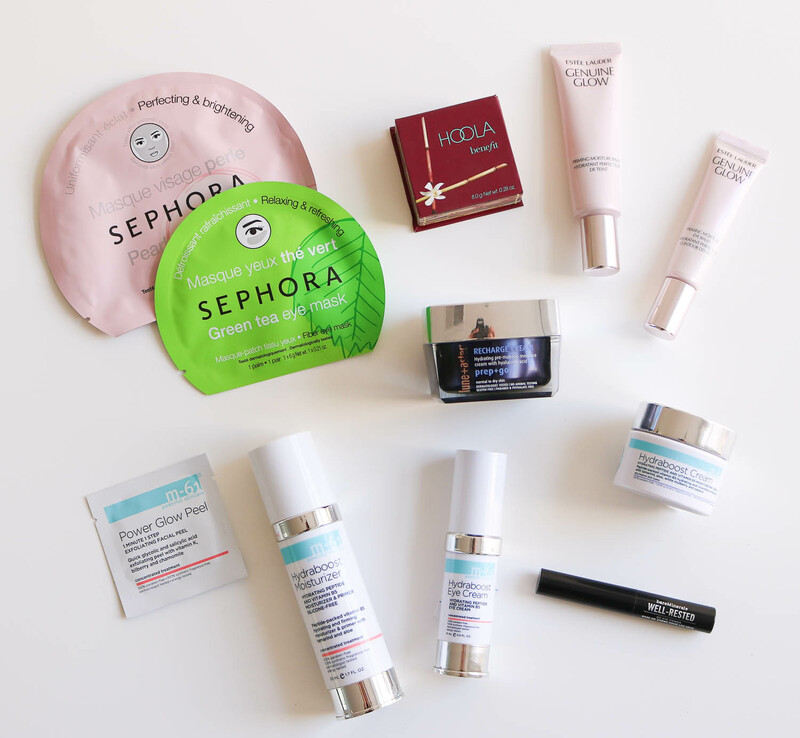 Have you tried any of these products?! Love them? Hate them? Are there any products that you would recommend? Let me know!